Welcome to Day 1 of The Fallout Diaries: Weird and Wonderful Tales from the Wasteland. I’ve emerged blinking into the sunlight from Vault 111. 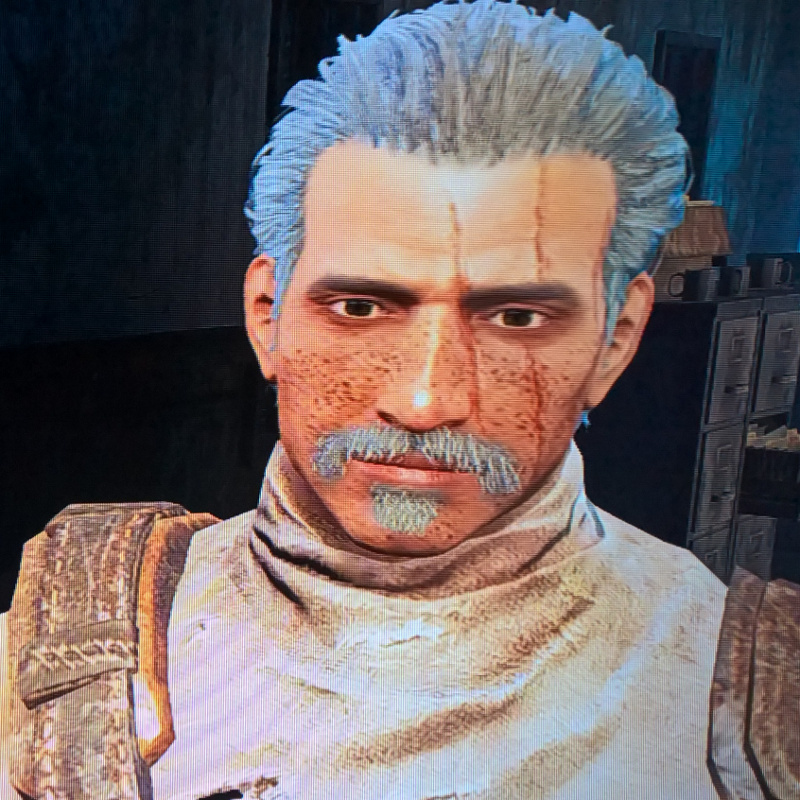 I’ve got a badass ‘tache, some Avatar-esque scars and am READY FOR ANYTHING. Check out my ‘tache. Badass, eh? 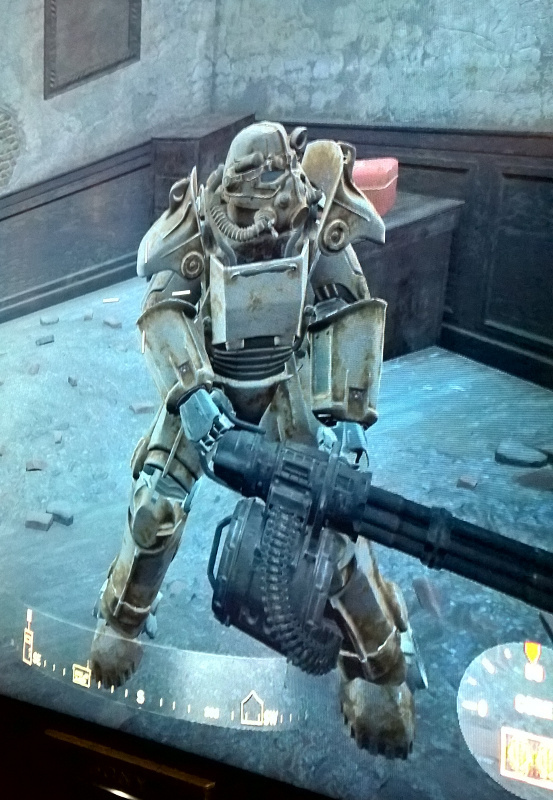 After some chat with Codsworth and meeting up with Dogmeat (who I promptly re-christen Mutley), it’s off to the Museum of Freedom in Concord. I wander into the building only to have some people start shooting at me. How rude. I can’t see where they are! I run around a bit before dying. Oops. Respawn. Back into the room. Finally figure out where the bad guys are. Shoot them back. Ha! Up the stairs and eventually come across this dude. That is a very cunning hat. Make note to try and steal it when he’s not looking. I realise that I’ve not quite figured out how to equip myself with new clothes, which results in me wearing a leather chest harness, a bandana and precious little else. I look like someone auditioning for The Village People. It’s a look, certainly. Not great for your post-apocalypse though, and those undercrackers aren’t going to be great for deflecting bullets. Make note to work out how to wear clothes. The Hat and I chat about stuff then we end up outside on a balcony being shot at by more people. Seriously, I must have got out of the wrong side of the vault this morning. My new chum and I return fire! We’re like Badass Tache and the Hat. What a pair! Oh noes! Apparently Mutley is under fire! The Hat jumps from the balcony and I, heroically, leap after him, only to die horribly. Note to self: Do not follow The Hat. He is clearly several orders of badassness more badass than you. Sufficiently badass (if slightly rusty), I go and wipe out a big creepy crawly bug thing with my GIANT GUN OF DOOM that no-one had noticed until now, then decide to investigate the local shops. I do like a spot of shopping. 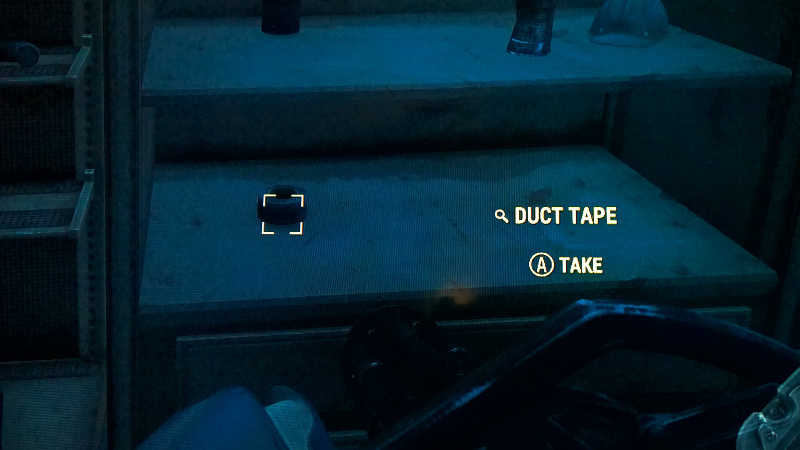 Glad to see duct tape is still a thing in 2077 post-apocalyptic Boston. Useful stuff, duct tape. Promptly steal everything, including all the coffee cups. In Skyrim I ended up with a houseful of troll skulls (despite Farkas trying to tidy them up all the time). Maybe my Fallout collection will be coffee cups. 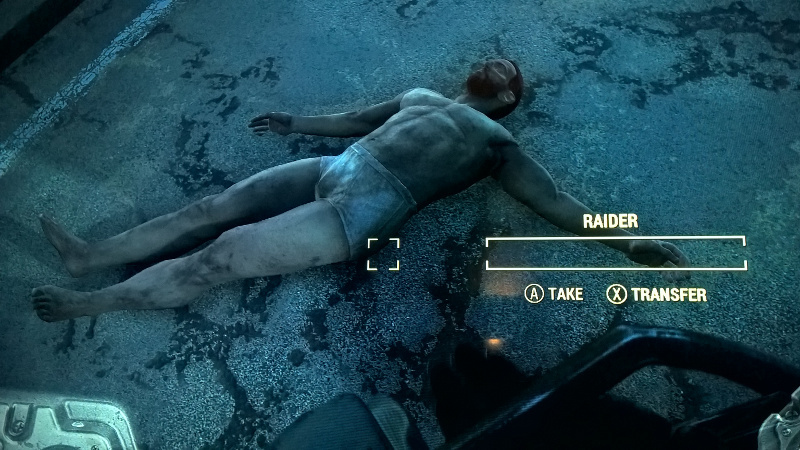 Also amuse self by stealing all the clothes off the raiders. I shoot him in the head with the GIANT GUN OF DOOM just to be sure. He’s now very very dead. Suspect may regret using all my GGOD (GIANT GUN OF DOOM) ammo on corpses. Oh well. Teach Mutley some new tricks. He’s very good at finding stuff and being generally awesome. Find myself saying ‘Good boy! Who’s a good doggy?’ a lot at the TV. Glad no-one else is here to see. Also teach him how to float. Clever Mutley! 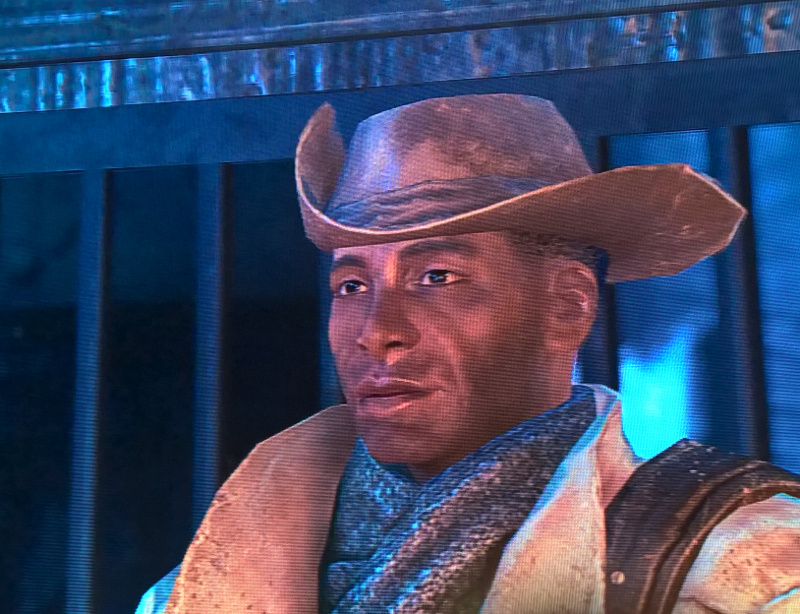 We wander back up to Sanctuary Hills where The Hat has decided that we should all live as one happy family. Fair enough. Despite having just arrived, he says he’s heard from someone over yonder who needs some help. He’s *terribly* busy so could I go help? Yes, Hat. You’re terribly busy wandering up and down the street. Oh, go on then. Look at map. Decide Yonder is a really long way away. The Hat then tells me that some dude called Sturges needs some help. Wander over to see what’s up. Sturges is, co-incidentally, also *terribly* busy but is fed up of sleeping on the floor. Could I possibly make him a bed? Hmm. Suspect that they’re taking advantage of my good nature. Make Sturges some beds. He then starts whinging about needing a water supply, but is *terribly* busy (staring at a wall takes a lot out of you, apparently). Mutter something about getting right on with it. Tune in for the next exciting installment of The Fallout Diaries: Weird and Wonderful Tales from the Wasteland. I’d love to know what you think so far. 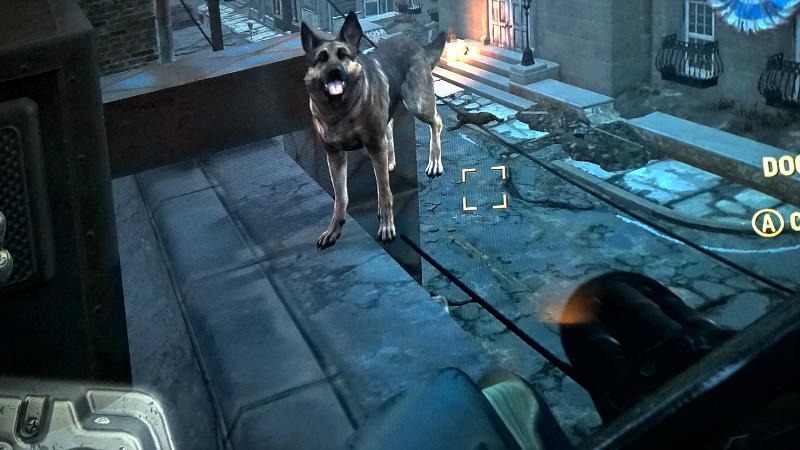 Are you playing Fallout 4? Do you want a hat as cunning as The Hat’s? Just how badass *is* my ‘tache, anyway? And yes, I’ve finally worked out how to take screenshots rather than using my phone to take pictures of the telly. Cunning, eh? Best Fallout4 review I’ve read! Also the only one. As a non-gamer who is none-the-less familiar with the Fallout universe, yep, amused.